Although serious side effects from cosmetic injectables are extremely rare, counterfeit products have caused the most serious problems. Cosmetic injections are considered extremely safe, but they can cause side effects, like bruising, redness, lumps, and bumps. Most are temporary, but some, like droopy eyelids and a frozen expression, both of which can happen with Botox, can be upsetting. There are lots of cheaper fake and foreign botox products out there, but only one real Botox cosmetic currently approved by the Food and Drug Administration. When considering a cosmetic filler, it’s extremely important to make sure you’re getting something that’s FDA-approved. 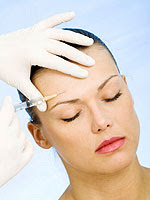 Botox effectiveness can be reduced if diluted incorrectly before being administered. Botox comes as a powder and is mixed with a saline solution, so it could be overdiluted by someone trying to stretch profits. Big case in 2006, a woman from California died after receiving injections of fake Botox (it’s a cooking oil) from a hairdresser who was not licensed to do the treatment. What the muscles do when you talk and express emotions can make the difference between a natural-looking outcome and something that’s just plain bizarre. So, the farther you get from a plastic surgeon’s or dermatologist’s office, the more likely you are to have less-knowledgeable or inexperienced people doing the procedure. Make sure the person that so this treatment was a physician. A nondoctor may not know the ins and outs of where a filler versus Botox would work best. Find out the spa’s emergency procedures. You should be told what could go wrong and how quickly a doctor can get there. 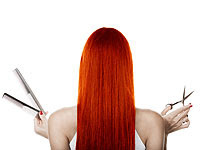 Check the credentials, training, and expertise of the person doing the injections. For example, someone experienced in cosmetic fixes will know that the hyaluronic acid in Restylane and Juvederm, can be dissolved by injecting a substance called hyaluronidase. They also know that some people are allergic to hyaluronidase. Watch out for the prices! Don’t get gullicle with the low prize. The average price for Botox is $360 and injectable fillers range from about $390 (collagen) to $557 (Restylane, a hyaluronic acid. Prices can be much higher in urban areas, however. Look at the product. Make sure that the package is unopened and the brand name and manufacturer are the same as what you were promised. Allergan, for example, has put a hologram on its Botox packaging to foil counterfeits. Ask about ongoing training. new Botox-like products expect to reach the market in the next year. All the new products disperse differently in the tissues, so you’ll need to inject each one somewhat differently. People performing these procedures are going to need to understand the differences.